Blackman P.F., The pole-zero approach to systems analysis, Rowse Muir Publications, 1962. Perkins W.R., Cruz J.B., Engineering of dynamic systems, Wiley, 1969. Harris C.J., Miles J.E., “Stability of linear systems : some aspects of kinematic similarity”, Mathematics in Science and Engineering, Academic Press, 1980. Gopal M, Modern Control System Theory, New Age International, 1993, pp. 322-324. Dorf R.C. and Bishop R. H., Modern Control Systems. Addison-Wesley, New York, 1990. Tan N., “Computation of Stabilizing PI and PID controllers for processes with time delay”, ISA Transactions, 44, 2005,pp.213-223. Moghaddam T.V. and Abbasi Y., “Tuning a Fractional Order PD and PID Controller with Lead Compensator for Integrating Time Delay Systems”, Journal of Electrical and Control Engineering 2, 2012, pp.34-41. Wells J.D., “Effective Theories in Physics”, Springer Briefs in Physics, 2012, pp.7-13. Chiorescu I., Bertet P., Semba1 K., Nakamura Y., Harmans C. J. P. M. and J. E. Mooij, “Coherent dynamics of a flux qubit coupled to a harmonic oscillator”, Nature 431, 2004, pp.159-162. Carloni S.,Troisi A., Dunsby P. K. S., “Some remarks on the dynamical systems approach to fourth order gravity”, General Relativity and Gravitation 41, 2009, pp.1757-1776. Yakovenko S., “Oscillation of Linear Ordinary Differential Equations: On a Theorem of A. Grigoriev”, Journal of Dynamical and Control Systems,12, 2006, pp.433-449. Ibrahim H.H., Tawfik M., “Limit-cycle Oscillations of Functionally Graded Material Plates Subject to Aerodynamic and Thermal Loads”, Journal of Vibration and Control 16, 2010, pp.2147-2166. Kasnakoglu C., “Control of Oscillations in Flow Problems Under Frequency Limitations”, Journal of Vibration and Control, 16, 2010, pp.1941-1966. friction-induced oscillations in a continuous system”, Journal of Vibration and Control 18, 2012, pp.467-480. Oscillations of an Airfoil with Cubic Nonlinearities”, Journal of Vibration and Control 16, 2009, pp.163-179. transient oscillations of the elastic half-space interacting with a rigid structure”, Journal of Vibration and Control, 2013, doi: 10.1177/1077546313490777. Radwan A.G., Elwakil A.S., and Soliman A.M., “Fractional-Order Sinusoidal Oscillators: Design Procedure and Practical Examples”, IEEE Transaction On Circuits And System 55, 2008, pp.2051-2063. Atay F.M., “Oscillation Control in Delayed Feedback Systems”, Lecture Notes in Control and Information Sciences 273, 2002, pp.103- 116. Wilkins A.K., Tidor B., White J., Barton P.I., “Sensitivity Analysis for Oscillating Dynamic Systems”, Siam J. Sci. Comput., 31, 2009, pp.2706-2732. Jolma I.W., Ni X.Y., Rensing L., Ruoff P., “Harmonic Oscillations in Homeostatic Controllers: Dynamics of the p53 Regulatory System”, Biophysical Journal 98, 2010, pp.743–752. Kaplan, I. Gabay, G. Sarafian, D. Sarafian, “Biological applications of the “Filtered” Van der Pol oscillator”, Journal of the Franklin Institute, 345, 2008,226-232. Abdelaziz T.H.S.,”Robust pole assignment for linear time-invariant systems using state-derivative feedback”, Proceedings of the Institution of Mechanical Engineers, Part I: Journal of Systems and Control Engineering, 223, 2009, pp.187-199. 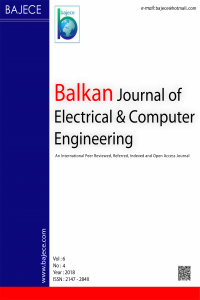 Özgören M.K., “An algebraic method for designing controllers for multi-input multi-output linear systems via s-domain input-output decoupling”, Proceedings of the Institution of Mechanical Engineers, Part I: Journal of Systems and Control Engineering, 223, 2009, 263- 274. Gross B. and Braga E.P., Singularities of Linear System Functions, Elsevier Publishing, New York, 1961. Bayat F.M. and Ghartemani M.K., “On the essential instabilities caused by multi-valued transfer functions”, Math. Problems in Engineering Article ID 419046, 2008, 13p. Kaveh P., Ashrafi A. and Shtessel Y.B., “Robust Sliding Mode Harmonic Oscillator Suitable for Low Frequencies”, System Theory, SSST '05 Proceedings of the Thirty-Seventh Southeastern Symposium, 2005, pp.249-252. Xue D., Chen Y.Q., Atherton D.P., “Linear Feedback Control Analysis and Design with MATLAB”, Society for Industrial and Applied Mathematics, Philadelphia, 2007.